The new store features a 'slight' makeover, which will be rolled out in all their locations. 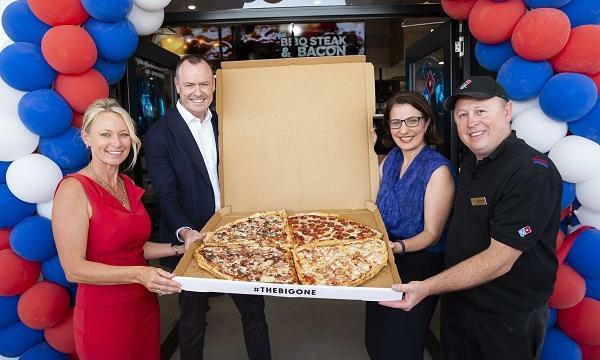 Continuing to cement itself as the largest pizza franchise in Australia, Domino's has reached another milestone by unveiling its 700th national store at Flagstone. Knight adds that the new store has a slight makeover, featuring the use of reclaimed and recycled materials. This is expected to be rolled out nationally. “We are continuing our journey to holistically move towards a sustainable and eco-friendly company. Not only are we using recycled materials, we are giving new life to pre-loved bricks by repurposing building materials, mainly bricks, from locally demolished buildings,” Knight added. Aside from Australia and New Zealand, Domino's Pizza Enterprises also holds the master franchise rights in Belgium, France, The Netherlands, Japan, Germany and Luxembourg. Currently, they are a network of more than 2,400 stores across these eight markets making them the largest franchisee of the pizza chain outside of the United States.